HP will have two new Chromebooks available next month with your choice of chip and size. The company announced updates for its Chromebook 11 and Chromebook 14 models at the IFA event on Thursday, with both devices starting at under $300. The smaller [company]HP[/company] Chromebook 11 will use an [company]Intel[/company] Celeron N2830 processor paired with a fairly standard 11.6-inch 1366 x 768 display. The first HP Chromebook 11 had an IPS panel, but subsequent revisions have opted for a lower-quality screen; HP hasn’t shared any additional details beyond the screen size and resolution yet. 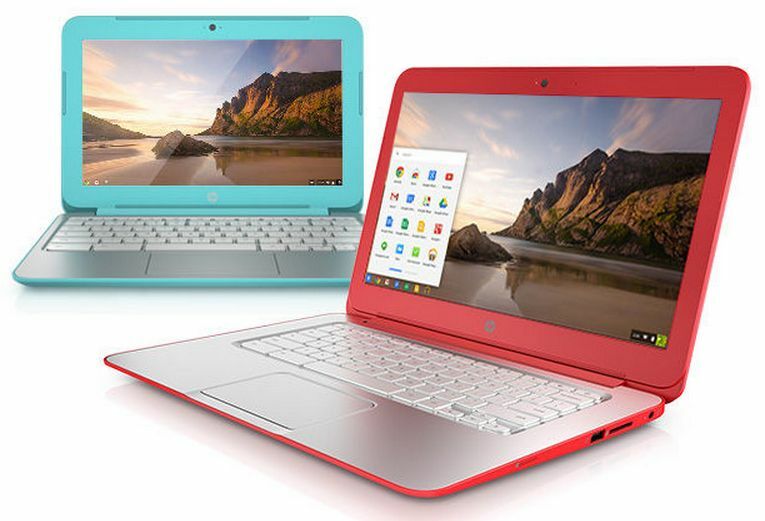 The Chromebook 11 will be available on October 5 in the following color choices: Ocean Turquoise, Snow White or Twinkle Black. The starting price is $279.99. Nvidia’s Tegra K1 will power the larger HP Chromebook 14, which will cost $299.99. This model has a full HD, or 1080p display, just like the Acer Chromebook 13 I reviewed, which also uses the latest chip from [company]Nvidia[/company]. HP doesn’t mention the expected battery life but it should be comparable to the 10 or so hours I saw on the Acer model since the internals are very similar. The HP Chromebook 14 will come in Twinkle Black or Snow White with different accent colors, such as Smoke Silver, Sorbet Orange, Ocean Turquoise or Neon Green, when it lands in stores on October 22. October 22 is a long way away. I wonder if it is the 64-bit Denver K1 in that. If so, I’m practically drooling for one of these. 1080 + LTE + 64-bit K1 would be amazing. HP Chromebook 14, IPS or TN? HP hasn’t said yet; details have actually been pretty scarce today. Since the devices are hitting stores in October though, I’d expect they share more information pretty soon. For the price and resolution, I suspect TN panel but hope I’m wrong.